Every other Thursday from June 13 through August 23. Fresh high quality fruits & vegetables, herbs, seeds, forages, live plants, trees, shrubs, perishable flowers, syrups, honey sorghum, edible grains, baked goods, jams, jellies or other general farm products, per Ohio Department of Agriculture Farmers’ Market rules. Homemade goods such as natural soaps, candles, gourds, etc. are permissible as long as materials used to make such goods are grown, harvested, or the items made are personally crafted by the vendor. We are taking vendor applications at this time and through out the event. 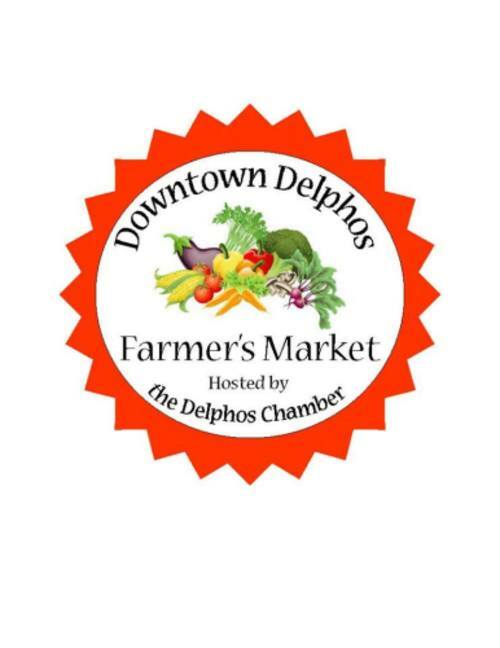 If interested please contact the Delphos Chamber of Commerce at 419-695-1771.